" We take our customers experience very seriously." 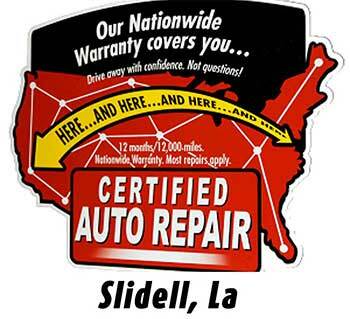 Welcome to Pro Auto Repair Slidell, La. 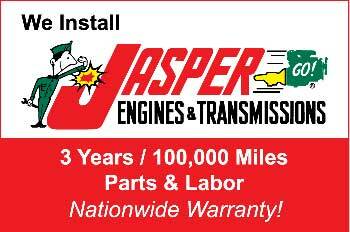 - your go-to Engine and Transmission Repair Shop. Hi, my name is Shawn Berger, we are a Local Owned, Family Owned Complete Auto, Car, and Truck Repair Shop and Auto Service Center. We are truly your one stop Local Mechanic Shop Providing our customers with "Same Day Service" on Car and Truck Repairs--"Nationwide Warranty" on ALL Auto and Truck Repairs and a Local Shuttle Ride to and from our Auto Repair Shop and Service Center. From Auto, Car, and Truck Check Engine Lights and ABS Lights, All Engine Repairs, Transmission Repairs, Sales and Installation new & used, to suspension repairs, and much more, we are the Mechanic Shop to come visit in Slidell. Great Customer Service from dropping your vehicle off for repairs to picking it up, we promise perfection, Just read our Google Reviews that we are very proud of. When it comes to Car or Truck Engine Repair or NEW and Used Replacement Engines it can be upsetting for a customer. Pro Engine Repair and its team offer you options such as NEW Auto Engine installation that comes with a 3 year 100,000 mile Nationwide Parts and Labor Warranty, NO Gimmicks! If Budget is more of an issue we also offer Quality Used Engine Replacements, Sales, and Car Engine Installations. These are quality tested engine assemblies that come with a Nationwide Warranty as well, we have had lots of success offering this option. Call me for a fast engine quote today, Thanks Shawn. When it comes to Car or Truck Transmission Repair or NEW and Used Replacement Transmissions it can be upsetting for a customer. Pro Engine Repair and our team offer you options such as NEW transmission installation that comes with a 3 year 100,000 mile Nationwide Parts and Labor Warranty and NO Gimmicks! If Budget is more of an issue we also offer Quality Used Transmission Replacements, Sales, and Car Transmission Installations. 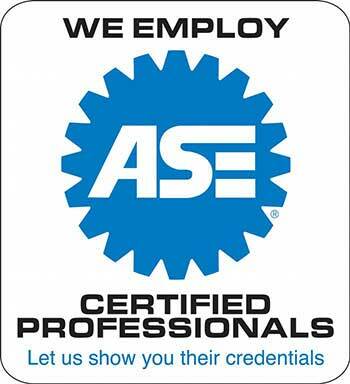 These are quality tested transmission assemblies that come with a Nationwide Warranty as well. We have had lots of success offering this option. Call me for a fast transmission quote today, Thanks Shawn. Depending on your cars mileage and age there are specific manufacturer mileage or time Maintenance Intervals for Service. We offer certified mileage maintenance services for every model car. At Pro Auto Repair in Slidell, we offer a wide range of services specifically tailored for what your car really does need. We do a thorough inspection of every vehicle and let you know what is most important and what can maybe wait a bit, depending on your budget. We will tailor fit a repair plan that fits you budget. Come check out our Mechanic Shop here in Slidell, La. We would be happy to help you. This is actually my personal specialty and have specialized in car electrical and diagnostics of car computer systems and repairs for about 20 years. We have state of the art Diagnostic Systems to accurately diagnose your cars Check Engine Light, ABS Light, Traction Control Light or Whatever it may be Related to Electrical Repairs on your Car or Truck. At Professional Auto Engines Inc. we perform a Complete Automotive Air Conditioning and Heating Diagnostic Test to ensure we give you an accurate answer of exactly what needs to be done to fix your Cars Air Condition / A/C or Heating System, How Much it will cost, and how fast we can get you back to blowing Ice Cold Air or Hot Air whatever the case may be. Its pretty routine with stop and go traffic, rough roads, or just mileage on a vehicle that your car will end up in need of routine Brake, Shock and or Strut Repair or Replacement, Ball joint and Control Arm Repairs, or maybe Tie Rod Ends, Rack and Pinion or Power Steering Pump, We Do it All. After 24 Years in this business I have found the Car Engines Cooling System (overheating problems) Diagnosed Improperly and Repairs Done costing a customer money, that were wrong due to inaccurate Diagnosis. With that being said, make sure you have an experienced and certified Auto Repair Mechanic Shop diagnose the problem. At Professional Auto Engines in Slidell, La. 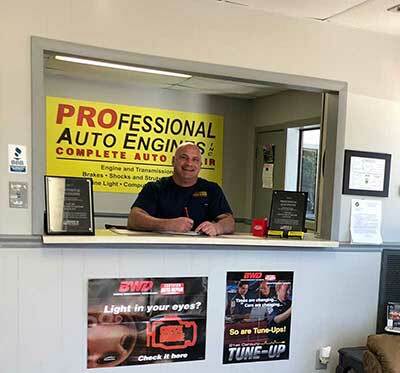 When in need of an auto Engine Timing Belt or Chain Replacement Service or Repair it is very important to let a skilled and Certified Auto Repair Technician / Mechanic like the ones on my team here at Pro Auto Repair Slidell perform these repairs to your car or truck, or severe engine damage could occur if not repaired correctly.